In an effort to progress through Canny Valley, players must complete Quests. Now U4GM shares with you Fortnite Canny Valley Quests Part 6. 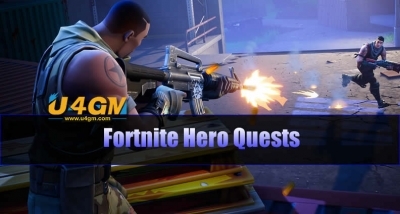 Additionally, choosing U4GM to Buy Fortnite Materials is always a good decision for you, thousands of Fortnite players have been trusting us, as our powerful delivery system helps us guarantee a fast delivery. Complete 3 Fight Category 2 Storm, Retrieve the Data, or Ride The Lightning missions in a 64+ zone. Fight the Storm is a gather/construct/defend mission. Players have to find the site from the ATLAS. After discovered, players have to deploy the ATLAS and deposit 1 BluGlo. Players are then anticipated to fortify the ATLAS and defend it for a total of 8 minutes. Complete 2 Deliver the Bomb, Repair the Shelter, or Evacuate the Shelter missions in a 70+ zone. Players ought to Find Site A, B, and also the Rift. As soon as all 3 have been discovered, players must deposit 4 BluGlo into A. Once this has been performed, Ray will add 20 Tracks into each and every players Inventory. Players must then link site A to site B with the tracks. Once the bomb has been delivered, players must fortify B and defend the site for a total of 4 minutes. It really is worth noting the storm doesn't move for the duration of this defence. Complete 3 missions in a 70+ Zone. Kill 30 Mist monsters in a 70+ Zone. 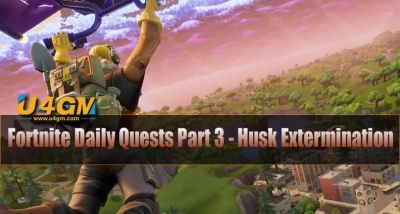 These creatures are a specifically risky group of husks in Fortnite that specialize in techniques to ruin your mission. The different forms of Mist Monsters are smashers, takers, blasters, and flingers. Primarily, anytime you run into a highly effective enemy that? Blue or purple in the color you've stumbled upon a Mist Monster. Complete 2 Bluglo Siphons in a 70+ Zone. Be sure which side of the Siphon you are activating when intending to continue on to the next phase. The activatable point that looks like a lever continues to the next phase while the point that looks like a valve wheel stops the siphon and grants rewards. Neither action can be undone so be sure to double check. Whack 3 Trolls in a 70+ Zone. Smash 3 Anomalies in a 70+ Zone. Complete 2 Fight Category 3 Storm, Deliver the Bomb, or Ride The Lightning missions in a 70+ Zone. Complete 3 Fight the Storm, Category 2 Storm, or Category 3 Storm missions in a 70+ Zone. Complete 2 Evacuate the Shelter, Repair the Shelter, or Ride The Lightning missions in a 70+ Zone. Complete 3 Fight Category 2 Storm, Retrieve the Data, or Deliver the Bomb missions in a 70+ Zone. Complete 3 Fight the Storm, Repair the Shelter, or Ride The Lightning missions in a 70+ Zone. Complete 3 Deliver the Bomb, Fight Category 2 Storm, or Retrieve the Data missions in a 70+ Zone. Complete 3 Ride the Lightning, Evacuate the Shelter, or Fight Category 3 Storm missions in a 70+ Zone. Complete 2 Retrieve the Data, Fight Category 2 Storm, or Fight the Storm missions in a 70+ Zone. Complete 3 Fight Category 3, Deliver the Bomb, or Repair the Shelter missions in a 70+ zone. Complete 3 Fight Category 2 Storm, Ride The Lightning, or Fight the Storm missions in a 70+ zone. Complete 3 Evacuate the Shelter, Fight Category 3 Storm, or Retrieve the Data missions in a 70+ zone. Complete Canny Valley Storm Shield Defense 6. Launch the Rocket is often a specific Mission. It happens at the end of 3 of the 4 zones. Players have to find a big rocket, fortify, and defend. To begin the defence stage, players need to deposit four BluGlo. You can find 3 total stages to this mission, every requiring 4 BluGlo.